Because of its famous and 44-kilometer-long river Spree, Berlin is a so called "water-city"! Therefore the best way to experience the German capital is from this perspective while making yourself relax from the previous sightseeing. The one-hour shipping to the city-centre guides you past the Reichstag building and the Federal Press Office, Nikolaiviertel (Nikolai Quarter), The Television Tower, The Museum Island and many further places of interest. An enormous number of the modern and historical buildings of Berlin were aligned in the direction of the water, even though huge parts of the bank of the river Spree are not lined by surrounding streets. 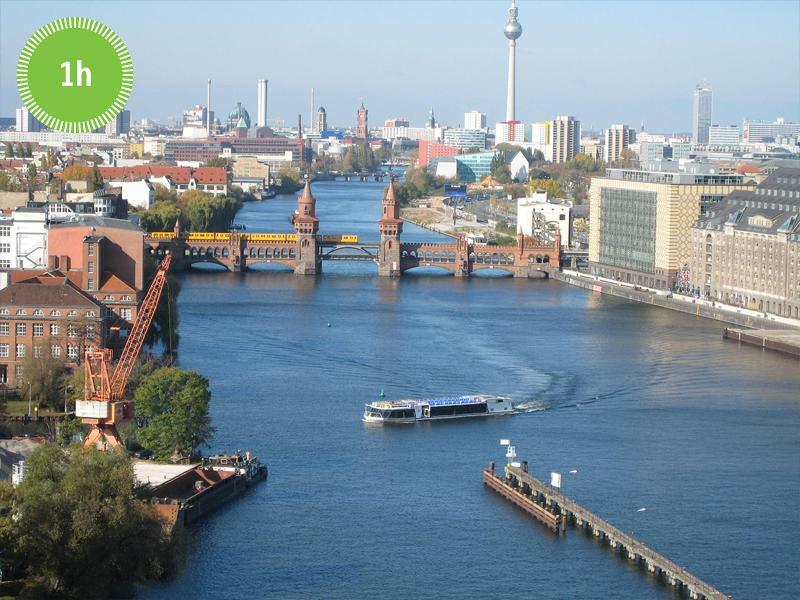 You get the chance to earn an incomparable view on Berlin towards the glazed panoramic boat.